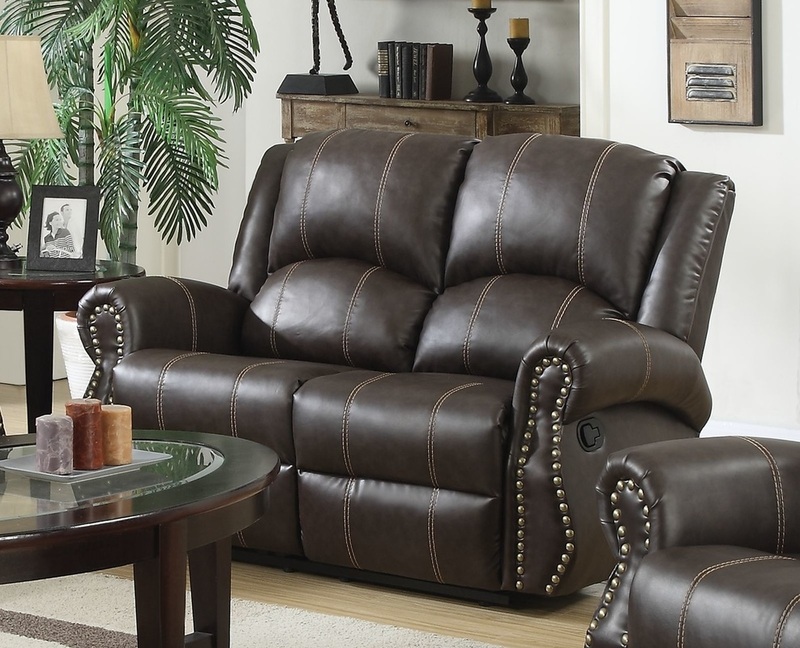 The new Montreal Recliner Suite is stylish, comfortable and excellent value. This traditional styled designer piece features decorative rolled arms and nail head trim for a classic tailored accent. 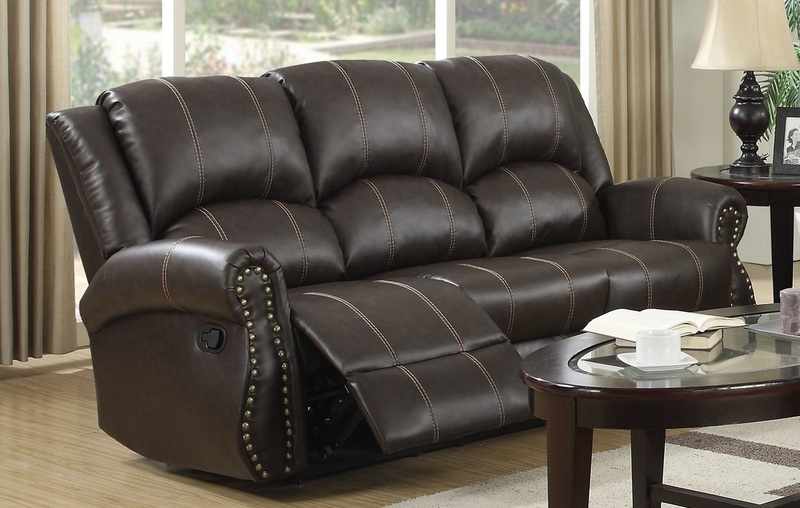 Made in premium bonded leather to all wearing surfaces, and leather match to unused surfaces. Metal frame mechanism. Three recline positions. All seats recline except the middle seat on the 3 seater sofa. Full UK Fire Regulation Foam and Materials.